Here are a few transition drills from head coach George Gwozdecky of the University of Denver. 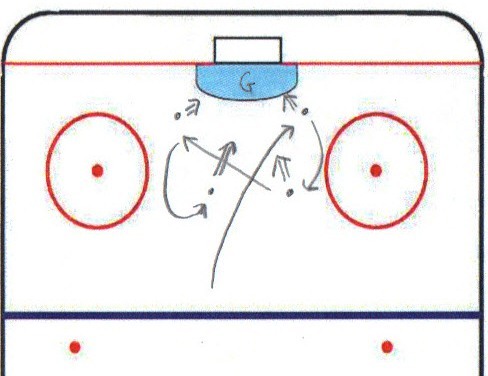 Here are a few pre-practice skating drills I like to use to get the players and goaltenders warmed up. Each drill has the goaltenders doing goaltender specific skating drills instead of skating with the team. As we all know goaltenders very rarely need to skate the length of the ice or do transition moves, so I keep them out of the team skating drills and give them specific goaltender skating drills to work on.